Tired from looking for the best camping cooler? Bear Proof cooler will save you! Of course coolers are the great invention and are an integral part for each traveler or outdoor party, but even the smaller ones of them are very inconvenient to carry them in hands. With such coolers your arms are always occupied with the heavy burden and become tired very quickly. Imagine for a second that you don’t need to carry cooler in hand anymore, just think about how it will simplify your trip and also may give you a possibility to carry other important, but not so heavy things, in your hands. If this dream has interested you, you must read this article about the best backpack coolers without any doubts! After purchasing a backpack cooler you will feel yourself like a bird flying in the sky, because of your free hands without any luggage. 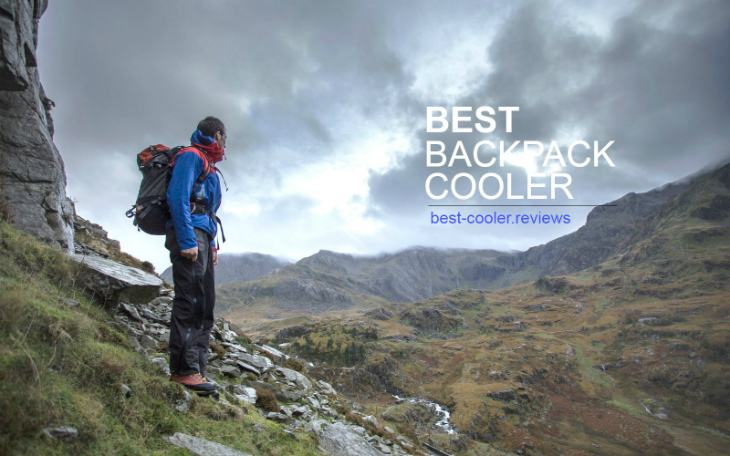 Rating of Best Cooler Backpacks. Struggle for the TOP- places. This cooler can boast of a flat zippered interior pocket, variety of hidden pockets and a special outer pocket where you can keep your bottle. For those tourists, who have different things to carry, the Turismo will become a wonderful godsend, because it is specially created for keeping diverse stuff. The size of the current model is12 x 7 x 17 inches and it means that everybody, who purchase this backpack cooler, will be able to keep different drinks, lunch and other items that may be needed to carry together with such important documents as passport or other things. 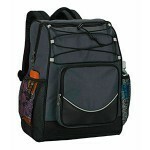 Speaking about stylish variants of backpack coolers it is impossible not to mention Picnic Time Zuma backpack cooler. This model of cooler is manufactured in a variety of colors. People who want to have not only useful, but also modern and bright backpack cooler will definitely choose this variant. These backpacks are available in black, lime, blue, red and beige colors. The full roominess of Picnic Time Zuma backpack cooler is equal to 20 cans. The users in their reviews write that you could optimally fill it with16 cans if you want to have a room for ice packs. Backpack’s size of 19 x 8 x 11 inches will allow you to do it easily. Many users write that this model is very convenient to hold not only frozen water or drinks, but also such things as smartphones, headphones, books, and sandwiches. The wide number of pockets allows you to take all the necessary things to your trip and do not keep them together in one pocket. It is hard to believe in it, but it is really does not matter where and for what purposes you are going to use this backpack. Polar Bear cooler backpack will be good for biking, hiking and for other activities too. 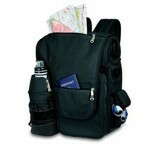 We can say with certainty that this model of backpack coolers is fully multipurpose and will fit you in any situation. The backpack cooler is produced at a size of 18 x 12 x 7 inches. Its manufacturer promises ice retention rates equal to 24 hours. According to many positive reviews from users, these promises are true. 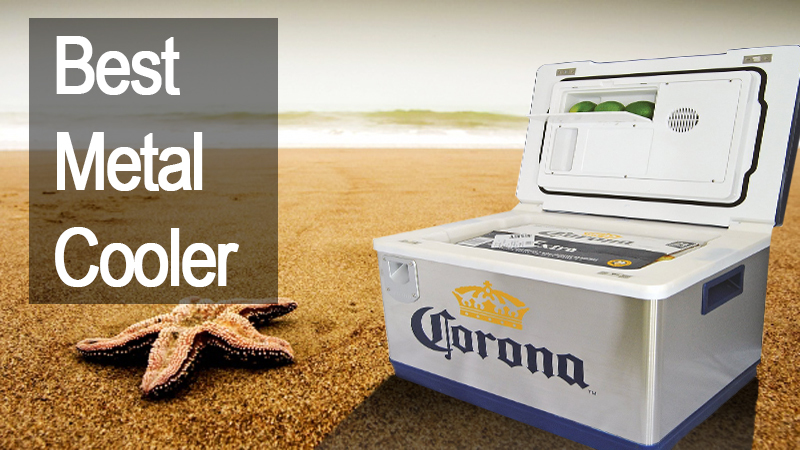 This cooler is also waterproof and sealed, and which means that you should not have to worry about it in bad weather. You can put on the Polar Bear cooler backpack and forget about it till you well need its content. You will never face with problems connected with the quality of this backpack, because it is definitely high. This cooler is able to keep every content cold during long period of time and its tightness is like a distinctive feature of this model. Reading users’ reviews we have stumbled upon one interesting review from a traveler who wrote that he has even used this backpack as a washing machine for his clothes. This man has filled Polar Bear with soap, water and dirty clothes and put it on. After some hours walking with the backpack he has got out of there his clothes, rinsed and dried them. This method of using backpack’s tightness can be definitely called ingenious. For sport lovers the OAGear Cooler Sports Pack will be the best variant. This model is equipped with open mesh pockets and drawstrings that allow you to access easily to each item inside your backpack. Let’s consider the OAGear Cooler Sports Pack facilities. Current backpack cooler can hold up to 20 cans with ice packs and is produced in a size of 12.25 x 16.5 x 7.75 inches. Padded straps, that are one of the distinctive features of this model, make this backpack much easier to put on and more comfortable to wear it during your trip. Thanks to presence of LAPTOP SLEEVE this backpack can be used as a laptop bag. Some users in their reports have mentioned that this addition is very convenient while travelling. In many reviews it is stated that the distribution of weight makes OAGear Cooler Sports Pack comfortable to wear, even when it is fully filled with water, or other drinks or food. 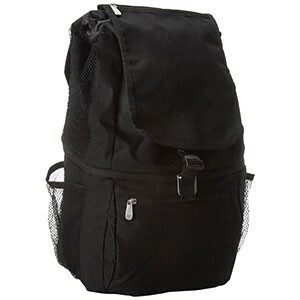 This backpack can be also used as lunch bag for keeping food and drinks. Igloo Marine backpack cooler is manufactured in a size of 16 x 17 x 11 inches (available on Amazon). The distinctive feature of this backpack and the good reason to buy it is the MaxCold insulation that consist 25% more foam for keeping your content cold for much longer periods of time. 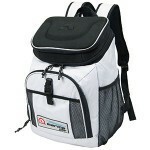 In addition to this Igloo Marine backpack cooler is leak resistant. This model will be the best choice for long camping trips, hiking or biking. But it can be also used for fishing and transporting different goods that you want to be frozen. A lot of users have written that this backpack is able to hold the ice during 2-3 days that is the great period for backpack coolers. The Igloo Marine backpack cooler has good warranty from the manufacturer and in the case of some problems occur, the damaged details will be easily replaced. If you have interested with this backpack cooler, we recommend you to read our article Best Igloo Cooler For Sale Reviews & Tips that wil give you more information about its characteristics. 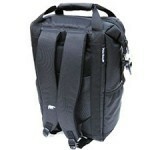 What Moments Should be Noticed Firstly When Buying the Best Backpack Cooler? After reading the previous list of the candidates to the best backpack coolers, we hope that you picked the one for you. 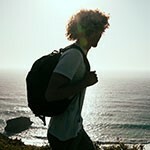 However there are some moments that should be noticed firstly when you choose a backpack cooler, and these characteristics should play the majority role in your choice. Firstly you should decide if you need the additional pockets in your cooler like pocket for passport or other important things and documents. In the case if you need it, the most suitable variants for you will be the Turismo variant mentioned above, or the Zuma cooler. This step is required before buying cooler, because it is very important to decide will it be enough for you to keep only water (or other drinks) and food in your backpack cooler. Equally important moment is your comfort when you wear the backpack cooler. It is very important because if your cooler is not be comfortable to wear, it will spoil the whole trip. Decide how long you must wear it and how many content you will take. Your final decision should be based on these indicators too. For long trips the best variant will be model with straps that consist of more padding comparably with other variants. In such case you will feel comfort when wearing even the heavy luggage. We recommend you to consider the lines of the OAGear Cooler Sports Pack that s mentioned here. As it was mentioned in the previous paragraph, you should decide how much weight you will take. If you decide to fill your cooler with lot of cans and bottles, such backpack’s characteristic as weight distribution will play one of the majority roles. Uncomfortable heavy backpack can spoil your mood and the whole trip. If you want to take rather big weigh the OAGear Cooler Sports Pack have all chances to become your favorite backpack cooler. We recommend you to give it a closer look here. 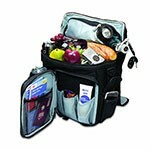 Decide for what you need your lunch cooler, whether you will use it in your next camping or hiking trip or not. We prepared the Best Ice Chest Reviews & Guide that can give more tips for you. When you will eventually decide for what purpose you need a backpack cooler and how long you are going to use it, your choice will be much easier. Best Backpack Cooler. Summing up. 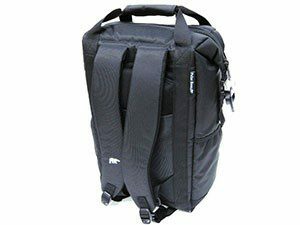 In this article we have made rather wide overview of several best models of backpack coolers to choose from. Everybody has some own requirements and preferences, but we hope that this list helped you to choose a variant that suits you perfectly. Adhering to such cooler’s characteristic as number of pockets, level of comfort, weight distribution and way of use, each of that was described above, you will be able to create a “sketch” of your best cooler and be stick to it when choosing among different variants. There is no one and only “ideal” backpack cooler, that would be placed on the first place, because each of us has own tastes and demands. Coolers, that are mentioned here are just the good and quality variants to choose from. We wish you to pick up the best backpack cooler for you, in which each detail will suit all your demands and hope that our article will come you in handy.